Nippon Ichi Software announced Jinrui no Minasama e, a new "Survival Adventure" game coming on PlayStation 4 and Nintendo Switch. 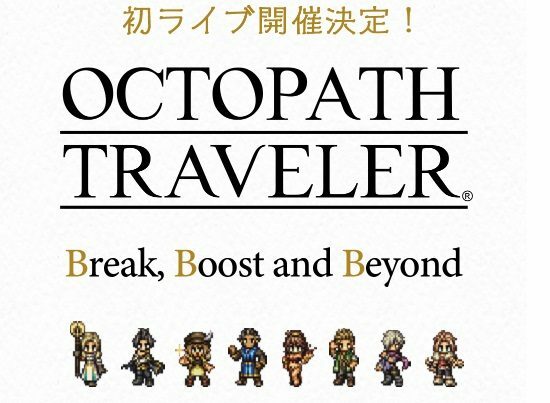 Update: New information from Famitsu has been added along with portraits for each character, and new screenshots. 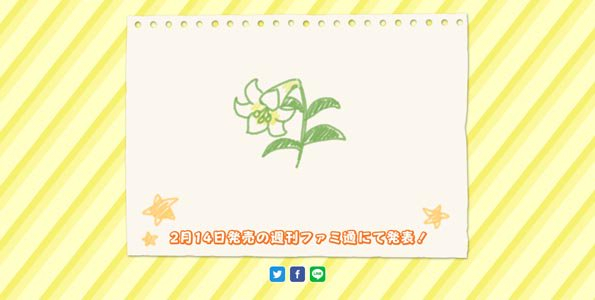 Nippon Ichi Software and Acquire revealed a brand new game: Jinrui no Minasama e.
The announcement was made through Famitsu and follows multiple days of teasing with images showing illustrations of sprouting grass. 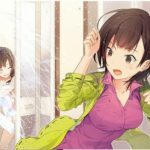 Jinrui no Minasama e, which can be translated to “To All of Mankind” will be releasing for PlayStation 4 and Switch in Japan. 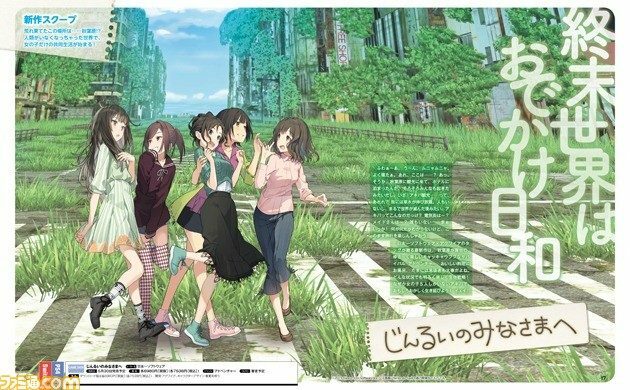 Jinrui no Minasama e seems to be featuring five young girls, as they try to survive in a post-apocalyptic Akihabara covered with vegetation. Nippon Ichi Software describes Jinrui no Minasama e as a “survival adventure” game. 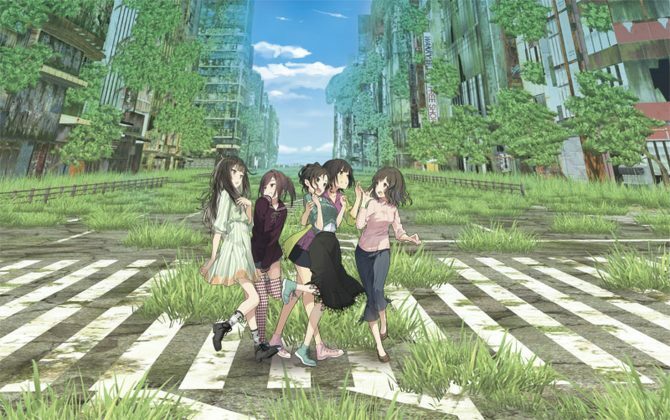 The appellation “adventure” suggests Jinrui no Minasama e will be a similar experience to a visual novel, with a heavy focus on story and characters rather than action-packed gameplay. 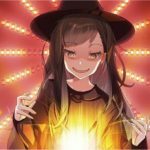 Judging from the first screenshots, it seems the game will let players control one of the girls and freely explore the devastated city in 3D. It seems like the game is organized in days, with a limited number of hours being available for exploration each day. The timer at the top left indicates “12 hours left”. The button shortcuts also include a “Display your next destination/objective” function. A map function is available as well. 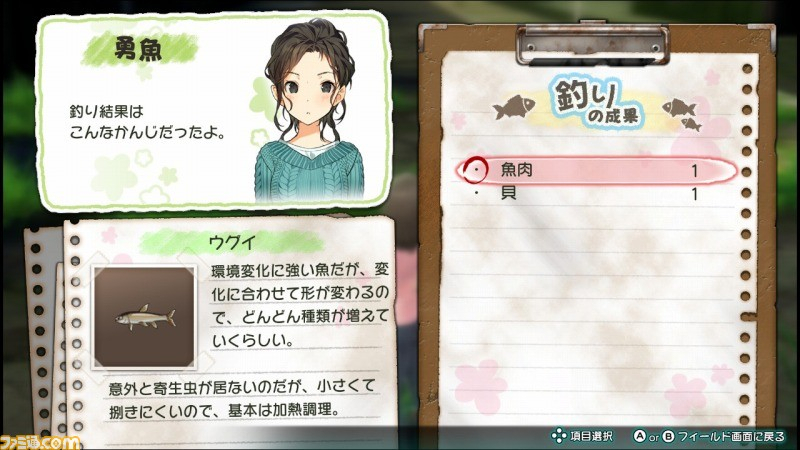 This second screenshot seems to be a report from a character who was sent fishing by the player. It seems players will be able to ask the characters to perform various tasks, like gathering food, to help with the girls’ survival. 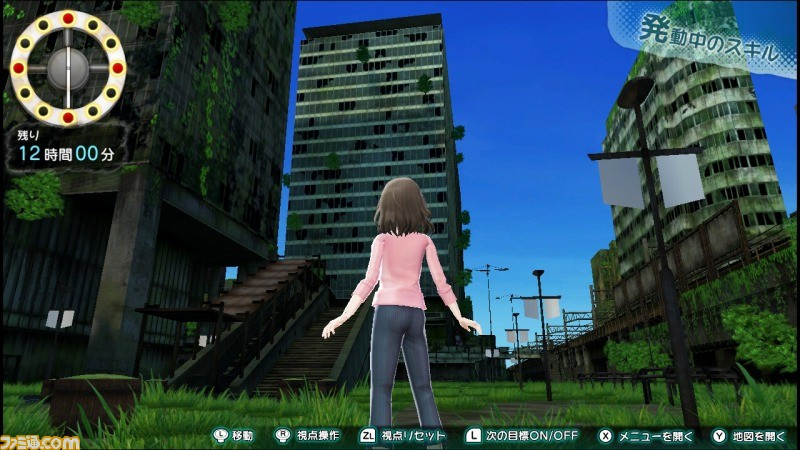 The third and final preview screenshot revealed by Famitsu shows two girls chatting. 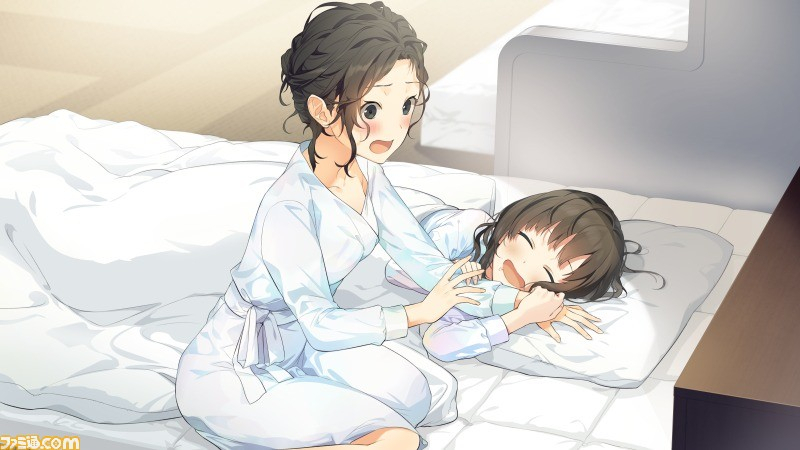 Like with most Japanese games, Jinrui no Minasama e will have its important story events pictured with CG Illustrations. For now, the game makes me think of the Lost in Blue series but we don’t really know much. 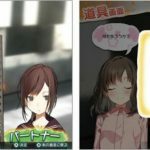 Keep in mind nearly nothing was revealed about Jinrui no Minasama e’s story and gameplay for now, and that most of the remarks in this article are speculation made from the first screenshots. Jinrui no Minasama e is the third game for PS4 and Switch announced by Nippon Ichi Software these past few months, following Destiny Connect and Satsujin Tantei Jack the Ripper. None of the games have been announced in the west for now. More information on Jinrui no Minasama e will be available after Famitsu releases on Thursday midnight JST. This article will be updated then, so stay tuned. Starting with the release date: Jinrui no Minasama e will launch in Japan on May 30, 2019, on PS4 and Switch. 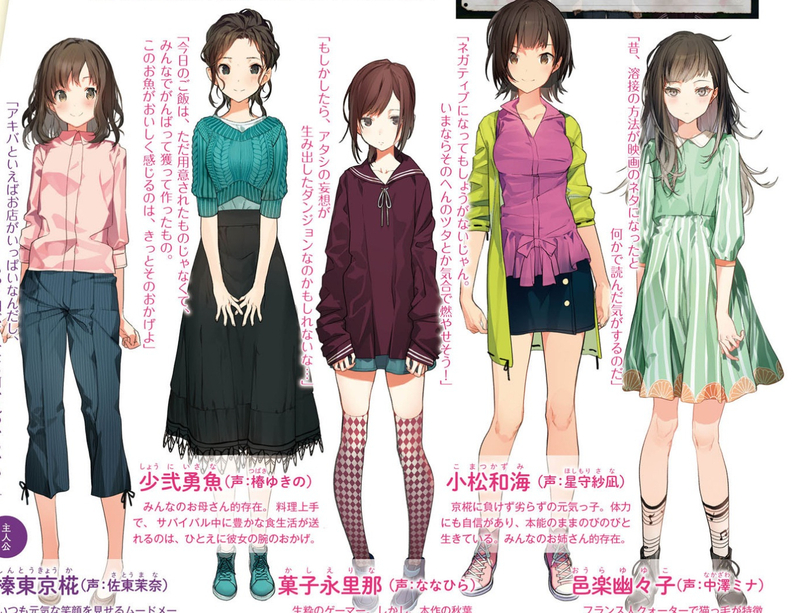 Jinrui no Minasama e’s Producer is Gen Suganuma, and the Character Designer is Yu Akinashi. The game is currently at 80% of its development. 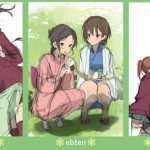 Jinrui no Minasama e will not feature a single male character and will depict the everyday lives of cute girls who try surviving in a post-apocalyptic Akihabara. You’ll get to see many aspects of their lives, including seeing them barge into each other when showering. Here’s the initial story pitch of Jinrui no Minasama e: Five girls were sightseeing in Akihabara and spent the night at a hotel. When they woke up, they realized they’re now in a post-apocalyptic world, in a devasted and deserted Akihabara, vegetation wildly growing over the ruins. 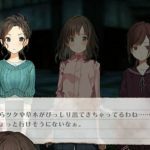 The five girls will try to adapt to their new survival life by exploring Akihabara, finding useful tools, hunting animals, farming, and fishing in Kanda River. Kyouka Shintou, voiced by Mana Sato. She’s the main character controlled by players. A girl who’s always cheerful, and the mood-maker of the group. She’s an anime and manga otaku, who’d rather read manga than read anything else. Isana Shouni, voiced by Yukino Tsubaki. A gentle girl who takes care of everyone, and is like the mother of the group, which is also probably because of her chest size. She’s very good at cooking and the main reason why they’re not starving. Erina Kashi, voiced by Nanahira. She’s a gamer addicted to smartphone and social games. She’s pretty anxious about how she can’t get her daily login bonuses anymore. She often makes game-related jokes and references. Kazumi Komatsu, voiced by Sana Hoshimori. A very lively and cheerful girl, just like Kyouka. She doesn’t get depressed by the predicament they’re in, and she’s also the strongest of the group when it comes to physical strength. She lives from day to day and is very carefree. She’s basically everyone’s big sister in the group. Yuyuko Oura voiced by Mina Nakazawa. A Japanese girl with a French grandparent. She always loved to read, which made her learn a lot of things. She’s saved the group multiple times with her knowledge. Jinrui no Minasama e seems pretty interesting. Though I usually dislike works that pander to what I call “male purity otaku” like this, who’d get mad at the slightest indication that the female character they like is interacting with a male character, but will wait for the game to release before judging it. 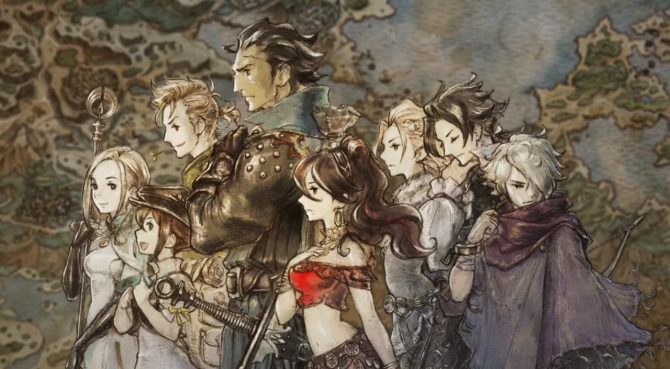 There’s also the fact that Octopath Traveler, Acquire’s latest game, has a lot of problems in my opinion. The gallery below includes rough drafts for the illustrations on Jinrui no Minasama e‘s shop specific pre-order goods, which are surprisingly tame, and screenshots, from Famitsu. Direct-feed screenshots will be released at a later date. 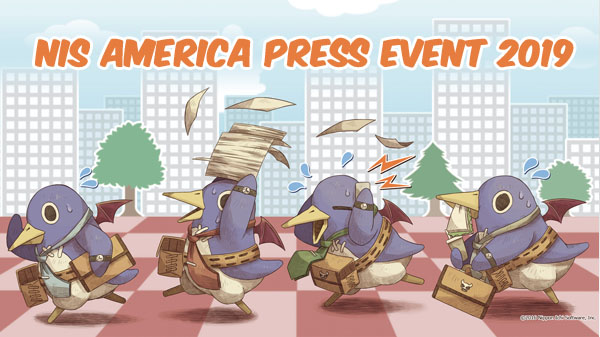 Nippon Ichi Software might soon announce localizations for Destiny Connect, Murder Detective Jack the Ripper, Jinrui no Minasama e.